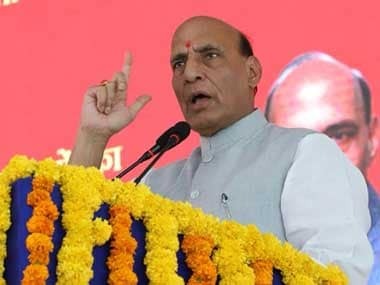 Following media reports of internet trolls issuing threats to journalists airing anti-establishment news on television, Maharashtra state Congress chief Ashok Chavan on Thursday wrote to Union home minister Rajnath Singh seeking protectection for the journalists and action against the perpetrators. 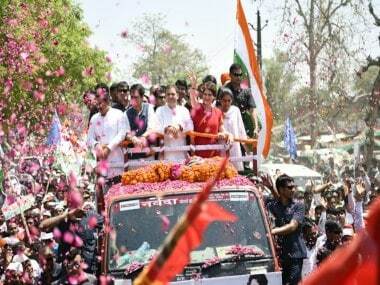 The Congress leader told Singh in his letter that repeated threats have been issued to journalists Rajdeep Sardesai and Ravish Kumar who are "only doing their job in a democratic manner" and urged him to look "beyond party line". The Congress leader also referred to the murders of journalist Gauri Lankesh and other Left-wing rationalists like MM Kalburgi, Govind Pansare, and Narendra Dabholkar, calling it a "shameful and direct attack on the fourth pillar of democracy". 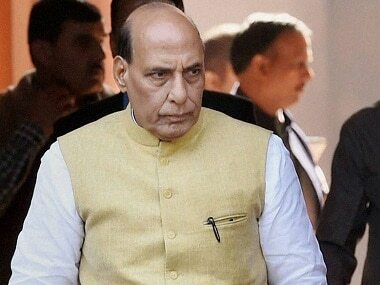 He said that the threats to Kumar and Sardesai, especially in view of these murders, should be taken seriously. Through his letter, Chavan also reminded Singh that the NDA government had in the past reiterated its "commitment to fundamental tenets of democracy". He said that this was the right time to "walk the talk" by taking swift action, before "yet another ignominy is heaped upon us." Chavan's letter comes hours after Kumar had posted an open letter on his Facebook page addressing Prime Minister Narendra Modi. In his post, Kumar said that some unknown persons added him to a WhatsApp group called 'Om Dharm Rakhitah Rakshitah', only to abuse him. He said in his post that even if he exits the group, he’s added back to the group, where abuses and threats are hurled at him. An Alt News article said that one of the people targeting Kumar on the group is linked to an exporter, who is followed by the prime minister's official Twitter account. The investigation revealed that one of the group administrators used his picture with Defence Minister Nirmala Sitharaman as his WhatsApp profile image. This person's Facebook page has several images of him posing alongside various BJP leaders. Kumar, in his post, said that while he understands that the Prime Minister of India cannot individually maintain a profile of all those people he follows on social media, but the PMO social media team can ascertain that Modi does not follow any such person, whose online activities can compromise the "dignity" of the prime minister. Furthermore, the Alt News report makes some more startling revelations. The news report said that the WhatsApp group made to hurl abuse at Kumar also has Nikhil Dadhich as a participant. Dadhich was in news recently for putting out a disturbing tweet mocking the death of Lankesh, who was also a known BJP critic. 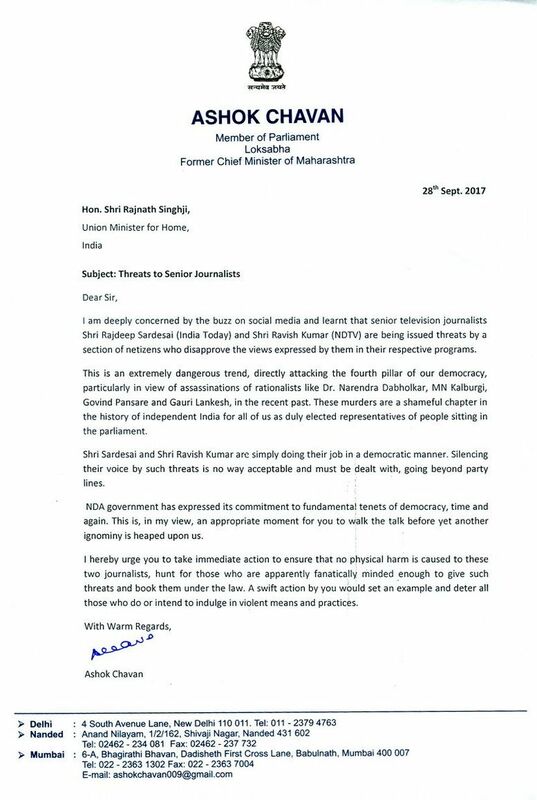 Chavan in his letter strongly condemned the trend to attack, defame and threaten independent journalists.